A Royal Yachting Association (RYA) certified Offshore Yachtmaster since 1998, and now an International Yacht Training (IYT) Worldwide Instructor, James has a wealth of sailing experience both locally and internationally, having sailed extensively throughout the Lesser Antilles of the Caribbean, The Mediterranean, The Whitsundays of Australia, The Galapagos, UK, New Zealand and Kingdom of Tonga. 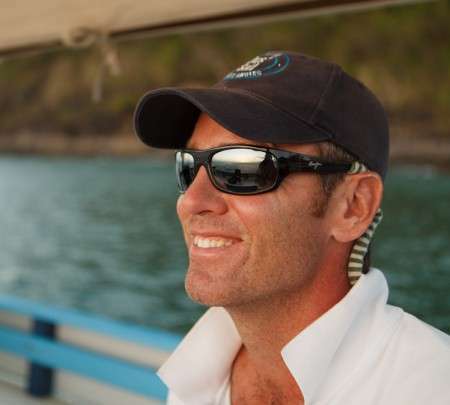 Between 1997 and 2001 James was an instructor for Actionquest and Seamester Programs a yacht-based experiential education company for Teens and College Students. 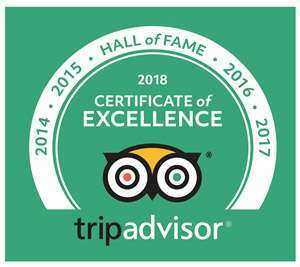 Spending time in some of most beautiful areas of the world James’ passion for the environment and local cultures grew into a commitment to ensuring that tourism played a positive role in maintaining the health of the destinations in which the tourism industry operated. This interest led to his gaining an MSc in Responsible Tourism Management at the world’s leading academic institution for the field – The International Centre for Responsible Tourism in the UK. Through which James came to work in St Lucia as a consultant on an EU funded community based ecotourism development project. 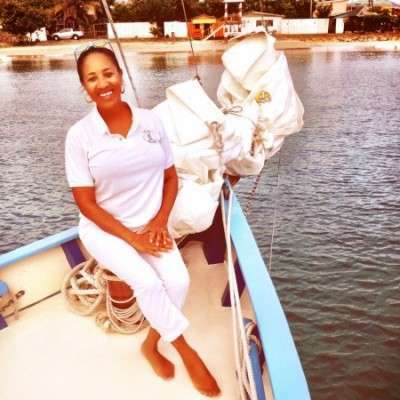 James aims to ensure that Jus’ Sail sets a high benchmark in its activities to deliver excellence to its guests and tangible support to the communities in which it operates (whilst having lots of fun sailing and exploring around St Lucia and across the West Indies!). Creative Director and all round attention to details person! Pepsi’s flair for presentation, care for ensuring the very best quality and natural hospitality makes her the perfect hostess and keeps the Jus’ Sail experience on its toes. Her rum punch, mango chutney, dips and other treats are becoming well known draws. The rum punch and mango chutney recipes are closely guarded family secrets but ask her nicely and she may divulge some the ingredients of her salt fish and blackbean hummus dishes! Pepsi loves making sure her guests are comfortable, that they have everything they need and are having a great time. Even when not onboard her presence is keenly felt in the little touches and attention to detail which are Jus’ Sail’s trademarks. Her influence is on everything aboard no matter how much James would like to think as Captain he is in charge, its her boat just as much as his! 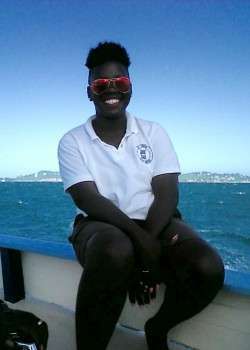 O’Brian came through the Jus’ Sail youth training programme in 2013 and has proven himself to be a passionate sailor, with great attention to detail, an infectious laugh, great personality and a true Lucian Jus’ Sailor… O’Brian was under the tutelage of James and mentorship of original First Mate Herbert Evans for 7 months before taking full responsibility in the role of First Mate aboard Good Expectation. 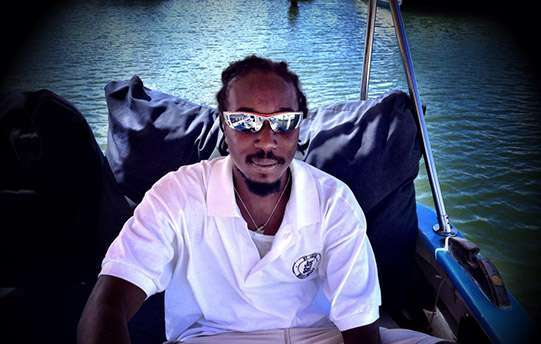 O’Brian, known to all aboard Good Expectation as OB is a Rastafarian who loves the sea and his island home almost as much as he loves Manchester United! 2015 has been a big year for OB so far becoming a husband in February and a father at the end of March! OB takes all his responsibilities very seriously which is wonderful to see as he grows in stature as a mature young man, father, husband and first mate. Gina came through the Jus’ Sail youth training programme in 2015 and was a standout personality among some very strong female shipmates this year. She has an infectious smile, a winning personality and is determined to make a better life for herself and her son. 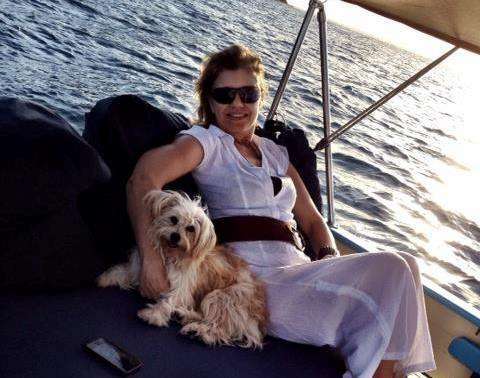 She also happens to love sailing and being out on the water. So working with Jus’ Sail is a great fit her and we love having her as our newest member of the Jus’ Sail Team. Gina has past experience at hotels such as East Winds and Sandals and has a strong customer service ethic. 2016 looks set to be a big year for Gina on the back of her success on the Jus’ Sail Youth Training Programme in the summer of 2015 and her first few months working with Jus’ Sail. We look forward to continuing to see Gina grow and thrive with us. The four legged crew member and head bone chewer! Our shaggiest and shabbiest crew member ~ Shabby ~ is available to join the crew on half day charters and sunset cruises by request. So if you’re a dog lover and you love cuddles and licks from a scruffy mutt, then you will love hanging out with Shabby! Original First Mate of Good Expectation and honourary lifelong member of the Jus’ Sail Family! 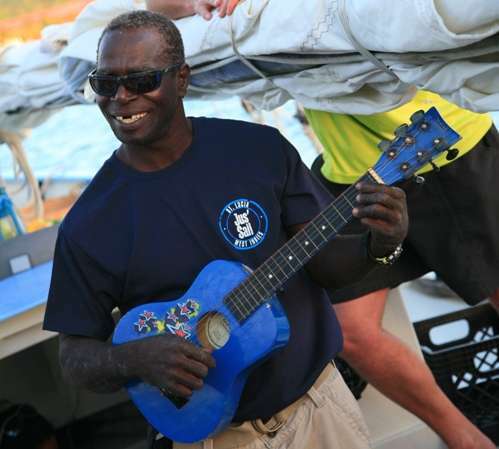 Herbie is an old sea dog, farmer, chef, story teller and all round St Lucian legend. A self taught sailor who ran his own charter boat in the 1970’s and 1980’s Herbert has sailed extensively throughout the Caribbean. A great character and a true Lucian gentleman Herbert brings a wealth of experience, local flavour and humour to the Jus’ Sail experience. Having met Herbert early on in their time on St Lucia James and Pepsi knew that when the time came to start Jus’ Sail that they would have to lure Herbert out of retirement from the sea and get back into his true element ~ undersail! Herbert has worked tirelessly alongside James and Pepsi throughout the renovation of Good Expectation, during the refit up in Antigua, the long sail back to St Lucia and throughout the second phase of renovations in the dockyard in Rodney Bay. As such he forms an integral component of Jus’ Sail team. Once met, never forgotten! Herbert was recently tracked down by some of his charter guests over 30 years since they last saw him when travelling through the island in the early 1980’s… They had never forgotten him and neither will you! And in a new twist to Herbert’s long and fascinating life he is co-owner of The Little Lucian cooking experience which is now his main focus.